BAGUIO CITY — An official of the Baguio Water District (BWD) on Friday assured the public that there is enough supply of water during the Holy Week and the summer season, despite the El Niño or prolonged dry spell. “We are not really much affected [by] El Niño because of these additional sources which were completed in 2018,” BWD general manager Salvador Royeca said. The BWD has an average daily water production of 65,000 cubic meters to meet the city’s average daily demand of 50,000 cubic meters. However, during the summer season, the BWD produces an average of 47,000 cubic meters due to the influx of tourists, in addition to the higher demand of the residents because of the warm weather. “I would like to assure that we will not experience what the residents in Metro Manila experienced, lining up on firetrucks waiting for water. We are very confident that our supply will last up to the end of the summer season and even with the El Niño,” Royeca said. He said in the past years, the BWD has been implementing projects to improve its production and storage capabilities. Royeca cited the Santo Tomas rain basin, which was completely rehabilitated in 2018. The basin is capable of storing 600,000 to 700,000 cubic meters of water. Subsequently, it started storing water in the last quarter of the year, which supply can be accessed if needed during the dry season. Royeca added that an additional 4,000 cubic meters is now available from the water resources at Tam-Awan, Camp 8, Tip Top, and South Drive. He said while water distribution is being scheduled in some parts of the city, water is actually available to the households daily. The BWD is continuously exploring ways to improve its facilities to further boost the water supply and protect available resources from being depleted. 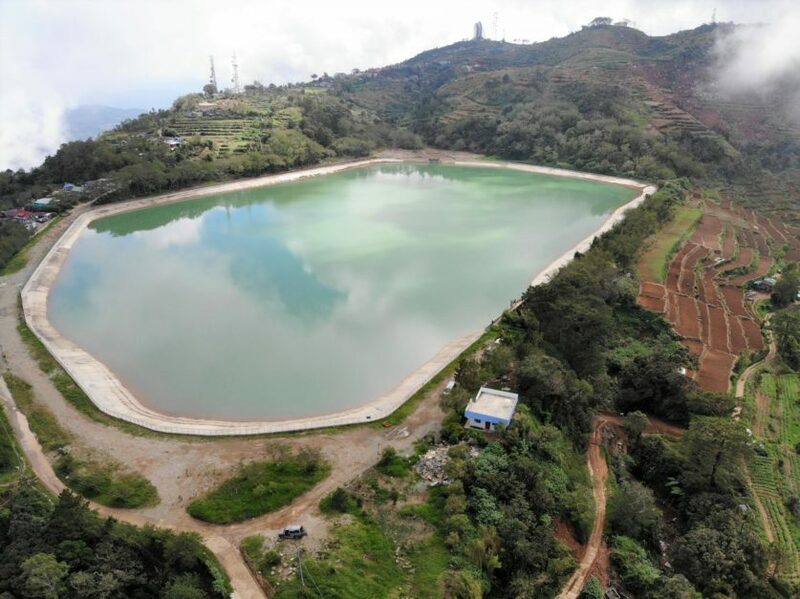 “Here in Baguio City, the water problem is not that much so what we did is to explore [other water sources],” Rodrigo Venecia Jr., chief of the Production and Distribution Division of the BWD, said. He said there are four deep wells supplying parts of Pacdal, South Drive, Ambuclao, and Aurora Hill. These deep wells are monitored to prevent over extraction. He said the additional impounding and rain harvesting facility at Busol watershed is ongoing construction. It is expected to be operational by 2020. Royeca said while the city is assured of sufficient water this dry season, they also started implementing water saving measures through infrastructure improvements spread out in several years. Distribution lines were replaced with bigger pipes to address systems loss and leakages. He added that in the first three four months, the BWD has been decreasing the water pressure during the off-peak hours, as a water saving measure. “Tinitipid din natin ano man na supply meron tayo kasi we don’t know until when and El Niño (We are saving our resources because we don’t know until when El Niño will be in effect),” Royeca said. He also encouraged the public to continue harvesting rainwater, not just for the summer season but as a practice to save on resources.